Are you tired of generic daycare centers and child care facilities that doesn’t help your children learn, grow, or even enjoy themselves in? Unlike run of the mill child care facilities, Vonkids combines the best parts of daycares and dayhomes into one amazing child care experience. Not only are your children safe at any and all of our Calgary area dayhomes, but kids will learn, play, and grow in a healthy and enriching environment. Founded in 2008, Vonkids has become Calgary’s leading dayhome company. We’re dedicated to helping children learn and grow in a way that benefits them best. Here at Vonkids, we’re dedicated to offering quality child development in a safe and welcoming environment. Be the best partners available to parents in raising their children to become better prepared for life ahead. At VonKids, children who have gone through our system fondly remember where they came from; their childhood. That concept is what guided us and led us to bring together a global, premium approach to education and childhood development. 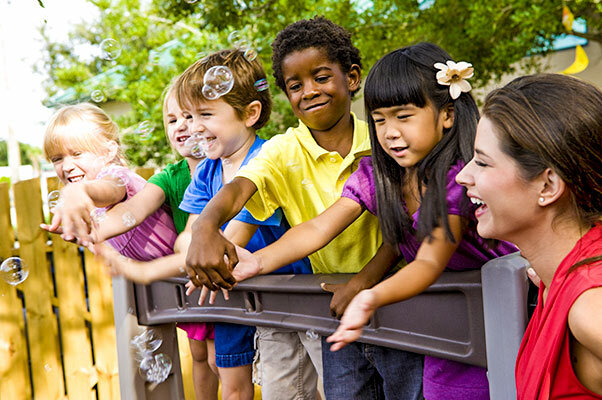 We believe in bridging the gap between daycare facilities and licensed dayhomes. Like a daycare, we focus on safety, a structured environment, flexibility, transparency, and a curriculum focused on technology, consistency, and good communication. Like a dayhome, we offer consistent loving care in a home-like, small group environment. With years of experience and a network of 20-day homes located throughout Calgary, we’ll soon be expanding into southeastern Calgary. Is VonKids right for your kids? Simply reach out to us with your start dates, your area, and how many days of the week you require care. You can do a tour of available dayhomes close to you, and finalize registration and paperwork when you’ve made a decision. In case you are wondering: In the German language, you’ll frequently see “Von” appearing as part of a surname. It either refers to families that have a lineage of nobility, or in the case of commoners, it means “of” or “from”. It’s a reminder that everyone, no matter where they go or what they do, is ultimately part of a family and all people have to go through a “kids” stage. So we focus on the important beginnings for each person! Contact us online or by phone to get started today!